ulnerable newcomers to Canada, and residents who don’t know ‘the system’ have long been easy prey to the unscrupulous. This page should help you identify the more common types of fraud perpetrated on people living in Canada on their path to citizenship, and those in their home country hoping to reach Canada legally and ethically. Canadian immigration authorities and police forces don’t phone people and demand payment in cash, bitcoin or consumer credit cards. That’s a tip-off to criminal activity. In April 2019, the Toronto Star reported on a telephone scam aimed at newcomers to Canada living in Canada. The article quoted an Immigration and Refugee Board (IRB) warning about telephone calls in which the caller claims to be a representative of the IRB. The person called is told (incorrectly) that he or she is under investigation, and owes money. The caller’s phone number is ‘spoofed‘ to look as if the call is coming from a body such as the Immigration and Refugee Board, or the Royal Canadian Mounted Police (RCMP). The Star article states that in 2018, more than 22,000 people received such extortion calls. The callers generally stated that they were with the IRB, the RCMP or the Canada Revenue Agency (CRA). Some 1,500 people are reported as having fallen victim to such a scam, and handed over an estimated $6.4 million, said the Canadian Anti-Fraud Centre, a Canadian body jointly managed by the RCMP, the Competition Bureau, and the Ontario Provincial Police. No Canadian government agency, no Canadian electrical or gas utility, and no Canadian police force ever, under any circumstances, calls people on the phone and demands money. The act of placing such a call is a federal offense in Canada, and the callers are committing a crime each time they call. The callers, often at phones outside Canada, are very aggressive. So must you be if and when they call. If a fake IRB or similar call happens to you, immediately hang up the phone. Don’t engage the caller. 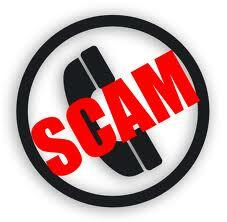 Report the fraud attempt to the Canadian Anti-Fraud Centre at 1-888-495-8501. Since tracking of such fraud attempts began, 2018 was the second-highest year on record for extortion fraud from fraudulent tax and immigration agents. In 2018, our firm received inquiries from individuals all over the globe, and particularly from Africa, about something called a new Canadian Visa Lottery Application. It purportedly allowed applicants a chance to come to Canada on a permanent resident visa. We reviewed the posts and links that people sent with Canadian Visa Lottery Application Form 2017/2018 and Canadian Visa Lottery Application Form 2018/2019. This is a scam. This Canadian Visa Lottery scam is a deliberate attempt to mislead people using the web. It is a fraudulent attempt to obtain your personal data, obviously with criminal intent. Beware of any posts and websites that tell you there is a chance to ‘win’ permanent residency in Canada through a lottery-type system. The Government of Canada has no such program or initiative. Any claim to the contrary is bogus, and constitutes fraud. You get an unsolicited phone call. The caller claims to be from Microsoft (or Google, or Apple), and that they are calling to alert you to a problem with your computer. There are a range of such scam calls. Scammers will usually claim that there are security issues with your device. For example, they may tell you that there is a virus or threat on your computer (or your laptop, or your phone) or that your computer’s e-mail program is sending out viruses, or that you are in danger of losing your personal data. The scammers often request remote access to the device and will pretend to run a diagnostic test. They then try to sell you a repair service or anti-virus software. In the end, you pay for a service that was worthless and not needed as the computer was never infected. Don’t get fooled by the phony tech-support extortion. Just hang up, and follow the reporting process suggested above. Needless to say, none of the major computing and software companies has people calling their users to demand money. As with the IRB scam, it is common for the scammer to demand payment in virtual currencies such as bitcoin, or to demand the use of prepaid cards of various types.